Maryland Lawyers Day of Service – Alliance of Black Women Attorneys of Maryland, Inc. Collecting toiletries to deliver to Karis Home and seeking 5 volunteers to assist with delivering the donations. 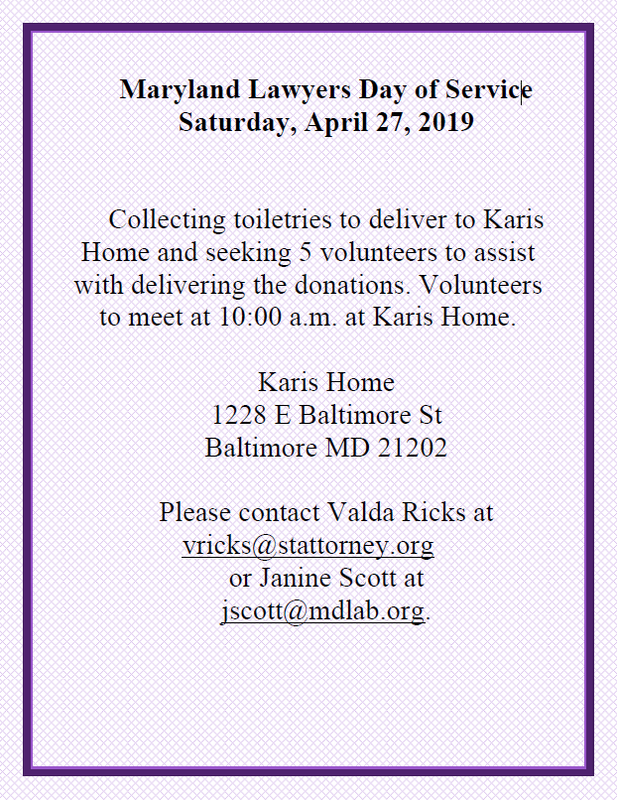 Please contact Valda Ricks at vricks@stattorney.org or Janine Scott at jscott@mdlab.org.